The Company was originally incorporated on 9 September 1964 as Marconi Marine (SA) (Proprietary) Limited, which was a wholly-owned subsidiary of the Marconi International Marine Company Limited, Chelmsford, Essex, England. In June 1987 the Company was sold to local management and became a wholly South African owned company. The name was changed to Cape Maritime Electronics (Proprietary) Limited and its field of operation remained unchanged. Its Directors and Shareholders are all full time employees of the Company in the management, financial, projects and technical departments, which provides total hands on operation. The Company services the Southern African seaboard. In addition to our own office in Cape Town, which also covers Saldanha Bay, we have specialised agencies established in Walvis Bay, Mossel Bay, Port Elizabeth and Durban. 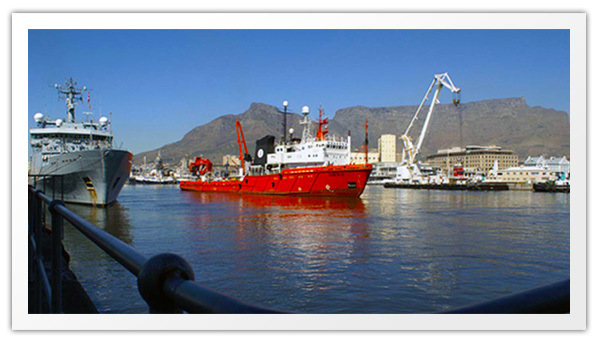 In addition to our onshore servicing, we provide the same service to vessels calling “off port limits” Cape Town. We also carry out regular servicing calls to oils rigs and support vessels operating offshore of South Africa and into neighbouring territories, Mozambique, Angola and DRC.